WESTBURY, NY --(Marketwired - May 11, 2016) - An automobile technician's goal is to get vehicles in and out of the bay as quickly as possible. 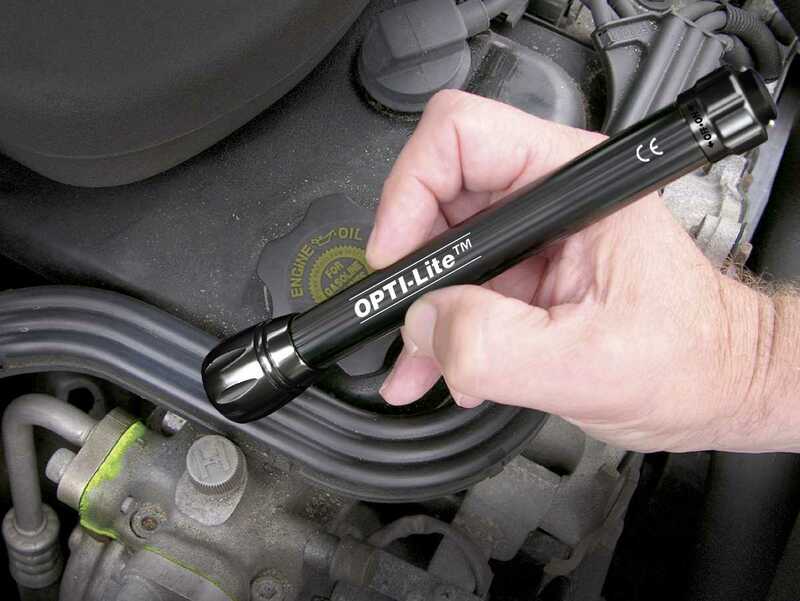 So they want tools that help them diagnose leaks quickly and effectively. 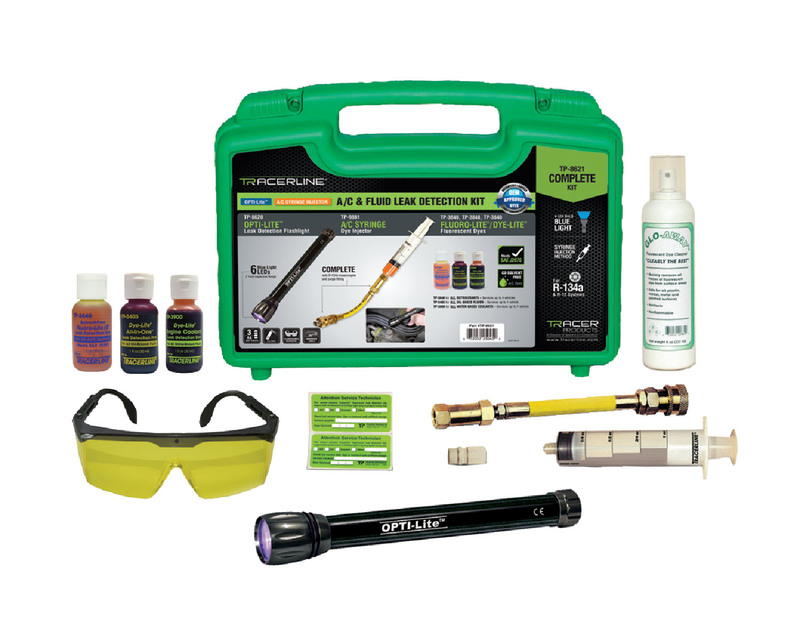 The Tracerline® Complete A/C and Fluid Kit (TP-8621) is an easy to use, economical leak detection kit that contains everything needed to find all leak sites in air conditioning and fluid systems. At the heart of the Kit is the OPTI-Lite™ 6-LED blue light leak detection flashlight. This cordless, economical unit gets into tight areas otherwise inaccessible to larger, more cumbersome lamps. It features power comparable to 50W lamps, and has an inspection range up to 2 feet (0.6 m) or more. The LED lifetime is rated at 100,000 hours. 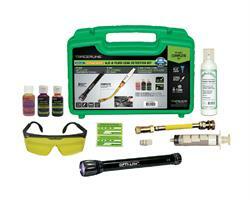 In addition to the flashlight, the kit includes a syringe A/C dye injector with hose/ coupler and R-12 adapter/purge fitting, a 1 oz bottle of Fluoro-Lite® universal A/C dye for all refrigerant systems, a 1 oz bottle of Dye-Lite® All-In-One™ dye for all oil-based fluids, a 1 oz bottle of Dye-Lite® coolant dye, an 8 oz spray bottle of GLO-AWAY™ dye cleaner, fluorescence-enhancing glasses and underhood labels. All components come packaged in a rugged plastic carrying case. For additional information, call toll-free 1-800-641-1133. Outside the U.S. and Canada, call 516-333-1254 or check us out at Tracerline.com.